Online reputation is always an important factor for any business. A reputation will define how people judge you before they actually have any first-hand experience with you. Everything can contribute to an online reputation, including reviews, social media activity, and the way you treat people. Profile Defenders is an organization representing a growing niche in the online reputation industry. In an industry that is now worth billions of dollars per year, a niche has grown. That niche is not only about managing your online reputation but actively battling against people who would try to unfairly do that reputation harm. According to recent statistics, 66% of online harassment comes from social media. If a business has lies told about it, this could cause customers to leave. If customers leave, the company may have to make cuts, which means forcing people out of their jobs. It could even bring an organization down. Profile Defenders is an organization that has seen this happen time and time again. Their business is about making sure this doesn’t happen by either having offending pages removed from the web or forcing results down the search rankings so nobody will see them. This is not about manipulating reputations in order to allow bad businesses to flourish. It’s about giving justice for all businesses through managing your online reputation like a pro. Many companies think that this could never happen to them. It’s true that many companies have never heard this happening before, but there’s always a chance that it will happen, and once it does there’s little they can do to stop the momentum. It can come from a range of sources, including disgruntled employees, customers that have bad interactions, or just Internet trolls who want to take someone down to make them feel better about themselves. Profile Defenders believes that no company in any industry is immune from this threat. It can happen to anyone, and so they take a proactive approach with their clients. They help to build up reputations, as well as removing things that could cause a lot of pain and suffering. Is it Possible to Combat Trolls in the Modern Age? It’s easy to look at the damage trolls can do and assume that there’s nothing you can do about it, even with threats of charging Internet trolls criminally. Profile Defenders believes that there’s a lot that can be done to save your online reputation. For a start, any offending websites can be served with notices forcing them to take the offending piece of content down or be taken to court for slander. This is usually enough to deal with a website that has any significant reach whatsoever. But in most cases the best way to deal with potentially harmful content is to force it down the search rankings. Profile Defenders uses a range of techniques to make sure that nothing is visible that could harm your reputation. The key is to always stay vigilant. A lot of companies have no idea that they have been targeted until it’s far too late. This is why it’s important to constantly monitor your online reputation. You can do this in a number of ways, such as setting up a Google Alert for your company name, CEO name, and your unique product name. As soon as anyone mentions these terms, in a positive or negative light, you will receive an email about it, allowing you to act. Businesses are so concerned about how people see them online that they would do practically anything to stop trolls from wrecking what they have. And they are right to do so. A single extra star on a site like Yelp could translate to thousands. Customers rely on word of mouth marketing and reviews to help them make important purchasing decisions. It’s why the online reputation industry has grown so quickly. More and more customers are spending their time online. They are using mobile shopping to determine which stores they will enter in the real world and whether to give a product a chance or not. Trolls have realized the power they suddenly have, and therefore businesses have to react through a solid online reputation campaign. Profile Defenders believes that businesses that start early with this are going to have the most protection. It’s going to give you a second chance. How will you defend your online reputation today? Perfect Post for Business Reputation Management, I am glad to read your valuable post. Thank you very much to share this post here. Yes as mentioned in the article online reputation plays a vital role in your ebusiness career. As every single stars and positive reviews reaps good reputation towards the brand. profile defender is also useful for online reputation…..and online reputation is must for online business. thanks…..for sharing a good informative blog…. Profiles Defenders offer a solution to build an online reputation. This is very important , so that the relationship between us and the clients remain well preserved . This is very important , so that the relationship between us and the clients remain well preserved, So that our company can continue to operate consistently. Thanks for Sharing…..
Online reputation is a huge role you have to understand to take otherwise your website or whatever you are promoting won’t succeed! Now a days Online Reputation is must. People are watching what you are sharing or posting. Thanks for the informative article. Profile Defenders offer an amazing solution that helps brands stop trolls from destroying their online reputation. Your online reputation is very important in building relationships with your clients or customers. Online reputation is very important Your Article is impressive and very informative. I am now regular visitor of your website and bookmarked it. Online Reputation Management is a best technical way to create your website brand. I got some points about online reputation in this article. It’s a meaningful article to know the online business reputation. you are right a single star could mean a big difference………thats why focusing on every single term while making a good online reputation need for growth and establishment of any online entity. 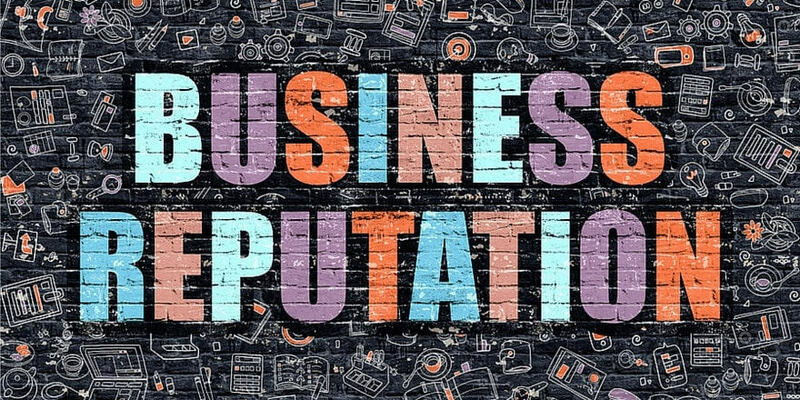 Online Reputation is must for every business to grow online. Online reputation can be turn your business into brand. I would say that for any company or an individual business, Online Reputation plays an important and defining role. So it is really necessary to manage your profile and keep up with positive appraisal.